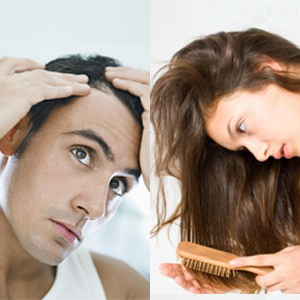 Hair Treatments for Thinning and Baldness. At Millennium Clinic we constantly monitor the latest International research available in hair loss treatments, hair restoration, as well as facial & body rejuvenation procedures and treatments. We then carefully select only those which are proven to deliver safe and effective results for our clients. Millennium Clinic constantly monitors all available products and treatments against Hair Loss from around the world and carefully selects only those that are proven to deliver a safe and effective result. Millennium Clinic constantly monitors all available products and treatments against Ageing from around the world and carefully selects only those that are proven to deliver a safe and effective result. 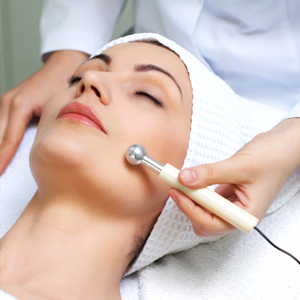 Millennium Clinic constantly monitors all available products and treatments for Body Rejuvenation from around the world and carefully selects only those that are proven to deliver a safe and effective result. Millennium Clinic have been very helpful in assisting me in understanding the cause of my hair loss and lack of hair growth. They provided me with step by step instructions and a structured program to get me back on track. Had a wonderful experience with Alex and the rest of the team as they accommodated to my needs. I would recommend Millennium Clinic to anyone. My name is Margaret Attard I came to Millennium. I spoke to Alex I had doubts about the treatment as I was with other treatments. Was I wrong. I started in February 2012 with great loss of hair to part of my head. Alex told me what I had to use and coming into the clinic I saw improvement with my hair about 4 months into the treatment. I stuck into the lotions it help a lot I was getting a bit lazy doing this and that I did nit see any improvement then I got back into it and the hair was growing healthy and strong. My husband and myself went to a family get together, people that I have not see for months, the family members were shocked, they could not believe the improvement, they asked so many questions . And it is November 2012 and I have a head of hair, I am so happy that I can go to a hairdresser for a hair cut. Alex and Anna they helped me so much through the course. I am having Christmas at home and all my family will be there and I will show off my full head of hair. Any one on the course do not worry this treatment works, if it did not work I would not write this letter or tell people. Thanks Anna, Alex and the staff. Since I have head Alopecia for over ten years I have tried many lotions, shampoos and treatments. I was “blessed “, when I came across Millennium Clinic laser treatment with the shampoo solutions etc. It has been the best results I have ever head!!! Thank you also for the generosity , warmth and welcoming reception from staff whenever I attend my sessions. I eat healthy food, go to the gym, dress well and take care in my appearance. The only thing that was concerning me was my rapidly thinning hair. Having met with some of the more 'advertised' companies offering solutions, I became disillusioned and in fact skeptical of organizations operating in this space. I came across Millennium Clinic by chance, and as a result of my previous experiences I approached them with a degree of caution. Immediately Alex and the team made me feel entirely at ease and I have been coming back ever since. The results have been great, my hairline is no longer depleting and instead has been steadily increasing in thickness, which has had a strong bearing on my confidence. Coming to Millennium Clinic was a commitment I made to myself and one, which I am happy to say, is paying off with great results. If you have concerns about your hairline, then you've come to the right place.